I don't think I ever made an easier cookie than these. The versatility of this recipe is endless. Use whatever kind of mix you like with a few more ingredients and you have a full proof perfect cookie. I love this recipe! 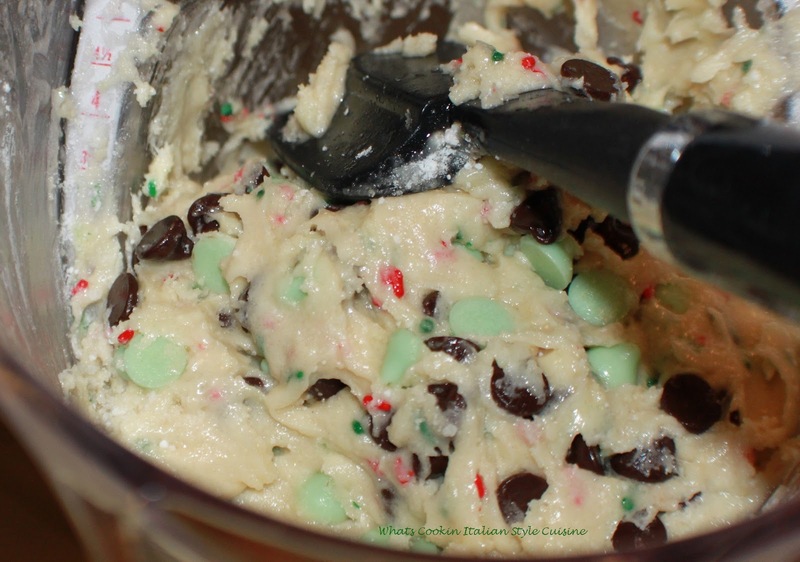 Mix the cake mix, eggs, oil, mint chips and vanilla in a bowl, mix until a ball forms. Refrigerate for around 25 minutes. 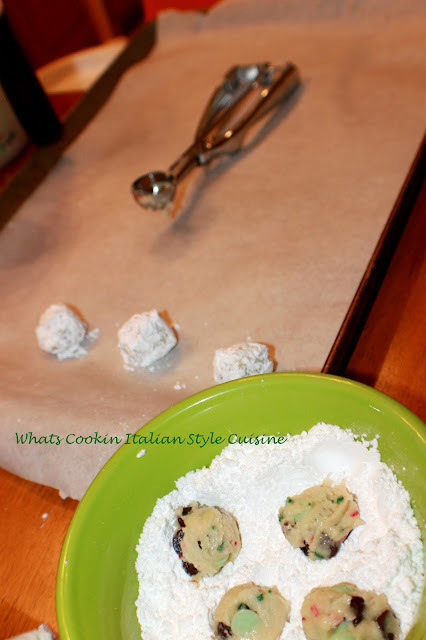 I use a meatball or melon ball scooper to form balls of dough. 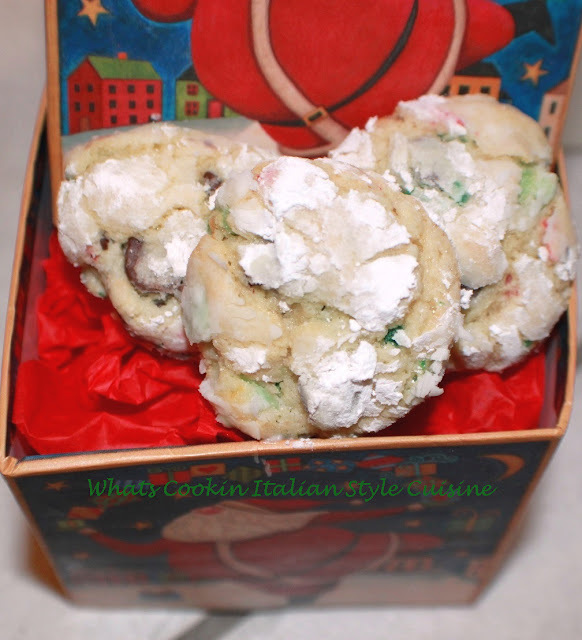 Roll into powdered sugar and place on a parchment lined cookie sheet or silpat mat. Bake at 350 hot oven until the cookies are set around 10 minutes. Cool completely store in air tight container. These also freeze well. I make these with just one difference - I use butter. 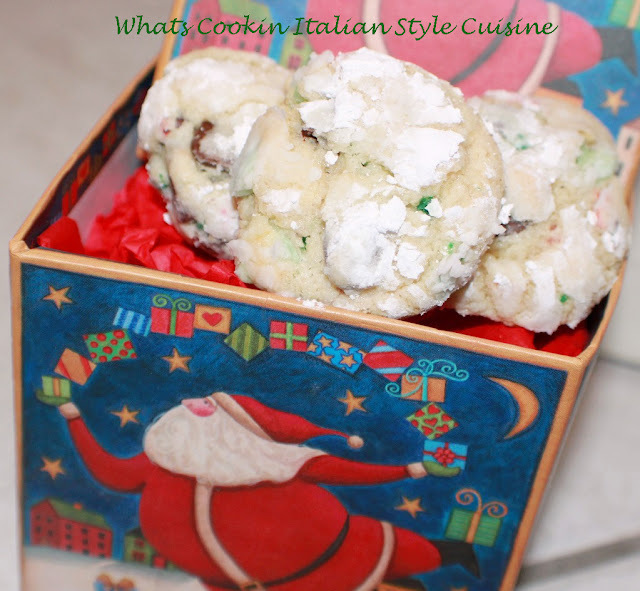 They are so good, so easy, so many variations, and so delicious!